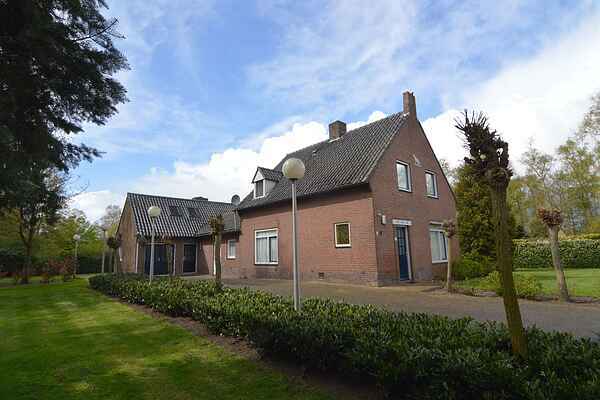 The Schafthuis is a large home with a great deal of privacy and a spacious garden. The house has tasteful and modern furnishings and is equipped with all comforts and luxury. In the large garden you can enjoy long summer evenings and the children can cavort on the lawn. This is an ideal house to get away from it all and have a great time with the whole family or group of friends. In the region there are various nature areas such as the Malpie and the Grote Heide. There are also many cycling, walking and riding trails where you can recreate and which are ideal if you are looking for some peace and nature. A bit further on there is the charming village of Valkenswaard with many shops and terraces and bars where there is plenty of fun to be had. For a great day out, the Efteling or Safaripark Beekse Bergen are recommended. For a day of shopping, hit nearby Eindhoven.